New York Live Arts today announced the schedule of its second annual Live Ideas festival, James Baldwin, This Time! taking place April 23 – 27, 2014. 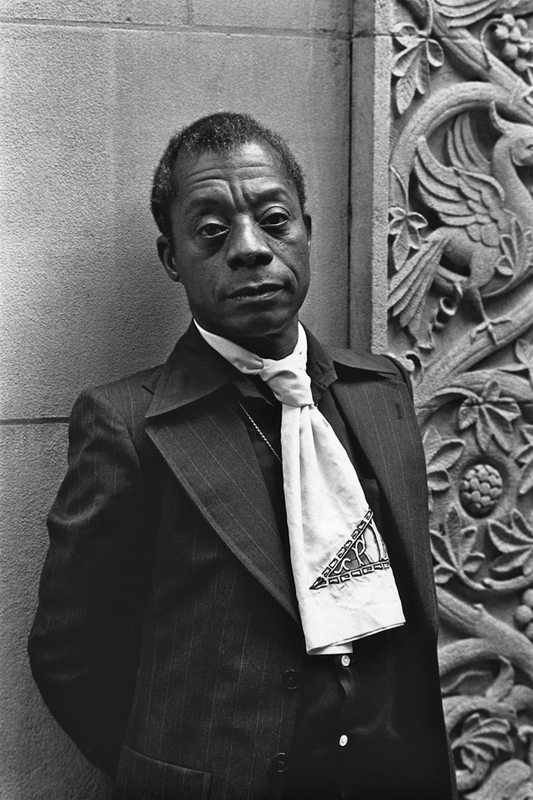 Inaugurating “The Year of James Baldwin,” a city-wide celebration in 2014 – 15 of the continuing artistic, intellectual and moral presence of James Baldwin, on the occasion of what would have been his 90th year, James Baldwin, This Time! will present no fewer than 18 events in an array of theater, visual art, dance, video, and literature featuring such artists as Suzan-Lori Parks, STEW, Carl Hancock Rux, Colman Domingo, Fran Lebowitz, Colm Tóibín, Charles O. Anderson, Patricia McGregor, and Hilton Als. Among the highlights of the festival are the world premiere of the theater work Nothing Personal, based on the 1964 collaborative book by James Baldwin and Richard Avedon, directed by Patricia McGregor and starring Colman Domingo; a preview of Carl Hancock Rux’s play Stranger on Earth, featuring vocalist Marcelle Davies Lashley; a preview of award-winning composer STEW’s Notes of a Native Song; the New York premiere of choreographer Charles O. Anderson’s Restless Natives; and the world premiere of choreographer Dianne McIntyre’s Time is Time. Also featured during the festival are an original video installation, inspired by the writings of Baldwin, by contemporary visual artist Hank Willis Thomas; and the speaking program “Jimmy at High Noon,” featuring poet Yusef Komunyakaa, critic, essayist and memoirist Hilton Als, playwright and actor Tarell McCraney and others reading Baldwin’s work and discussing its impact. The 2014 Live Ideas festival James Baldwin, This Time! is being presented by New York Live Arts as part of “The Year of James Baldwin” in partnership with Harlem Stage and Columbia University School of the Arts and its Office of Community Outreach and Education. Other collaborators include the Richard Avedon Foundation; The New School and its Vera List Center for Art and Politics and the School of Writing; and others to be announced as the year progresses. Single tickets and festival passes ($175) will go on sale to New York Live Arts members on January 27, 2014 and the general public on February 3, 2014.